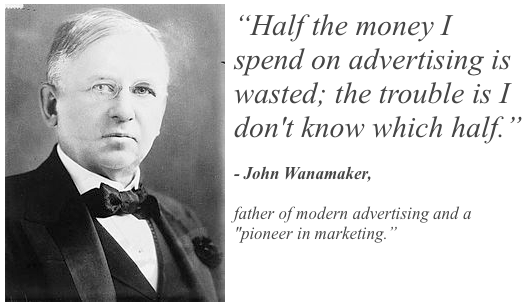 Half the money I spend on advertising is wasted; but I know which half it is and how to fix it. There is a popular saying which goes “Half the money I spend on advertising is wasted; the trouble is I don’t know which half.” Over the years, I have heard many a CEO/CFO substitute the word “marketing” for “advertising” as they lament about all the money they are spending on brand awareness and demand creation with little demonstrable return on investment. But those days are over. With web analytics, social media and marketing automation software provide us with quantitative data that can be used to identify what is and is not working. Gone are the days of companies spending millions on television, print or billboard advertising with no expectation of ever being able to measure the impact. Within minutes of initiating an online advertising campaign you can begin to measure how many times the ad is being served; who is clicking on it; and whether they converted on your landing page. If the data shows that your initial approach is not working then you can change it online quickly and try another. Gone are the days of sending out millions of pieces of direct mail with no hope of ever known who actually read it and if they converted. Within minutes of sending out an email campaign, you can begin to immediately track who opened the message, who clicked through and who visited which pages of your website. With experimentation like A/B testing you can quickly discover what works and what does not. 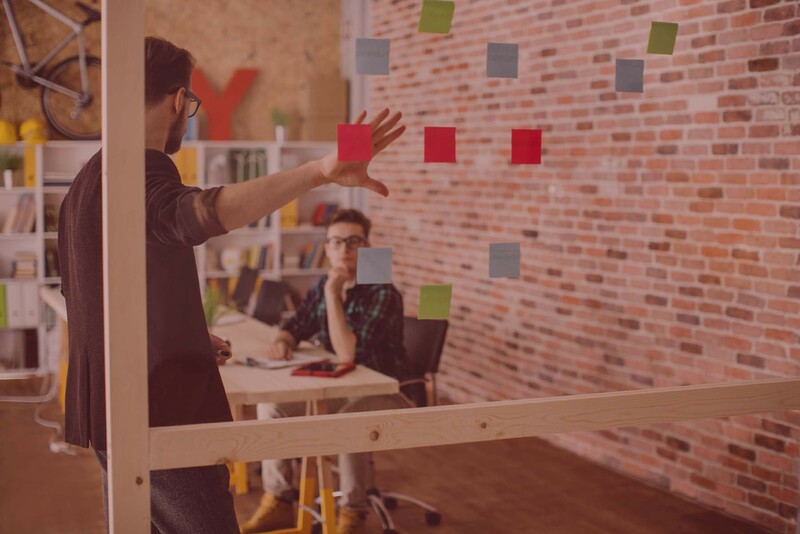 Gone are the days of buying the premium real estate at a tradeshow with no hope of understanding what conversations their led to a sales opportunity. With webinars you can track who has registered, who attended and whether they converted into a deal in the pipeline. Ironically, there does not seem to be consensus on who first made the comment about half of their advertising being wasted. The general public has attributed it to two different people – John Wanamaker and William Lever – the trouble is we don’t know which half is correct.